~Nil. : Of November already and Big Bang Theory loops. November's here already. I feel like I'd been sleeping all this while in a sound slumber and kaboom goes the diwali-ness in Delhi and I woke up to realize the year's already coming to an end. What a strange year it has been I tell you. I don't think it's excluded anything. Diwali was pretty random and disorienting. Better than last years, nevertheless! Found ourselves at India Gate at godknows what hour of the night, taking strolls around the Guard who stood at attention like nobody's business. I miss her like a sad little puppy, but heyy all good things come to an end. Shoot me. Apart from that,I'm still hungover about how last month's been so godamn crazy and hectic. I haven't found the time to stop and breathe, not once, no. Something or the other's been up and my only soothers have been Limca and watching loops of the Big Bang Theory. Sheldon Cooper makes me happy and laugh like a wild child, and I need to frame his photo and see it everytime anything pisses me off. How, just HOW can a T.V series be so awesome that it makes the world a better place to live in? Quite literally speaking. And there you go, my phone's beeping on low battery- something that it does pretty often now. I should really work on the phone charging thing, I ignore that instrument like its scum. But it's not in the drawer anymore, so that's an improvement, right? Penny: So what do you guys do around here? Sheldon: Today, we tried masturbating for money. same old nil...shut up ..its the hot new cutesy chic on the blog !!! @Bikram: Ooh,I smell a birthday :-) Wishes to you in advance! @Vanta: "Oh, I'm sorry. Did I insult you? Is your body mass somehow tied into your self worth?" - Honestly, Sheldon Cooper FTW. @PinkPatiyalaSis: Hahah no wayyy. Khali tumi bolo eta! kichu bujhlaam na! tora ki shob dekhish, I feel absolutely old fashioned! aar kaki ma ra bombay keno gechilo re? Tumi aar old fashioned?! haha no wayyyyyyyyyy mashiii. I have not seen the big bang theory (long story why I haven't.) So it seems I shd go through it. I'm like obsessed with Dexter at the moment :P About Sheldon Cooper, my best frnd literally goes by him so ya must be awesome. And its been ages I haven't commented. Btw I did finally succumb to post bout ladakh, wee little bit tho. GOOD to see here. you missed commenting? Well,we missed you! A whole bunch at that! And PLEASE GO WATC BBT. 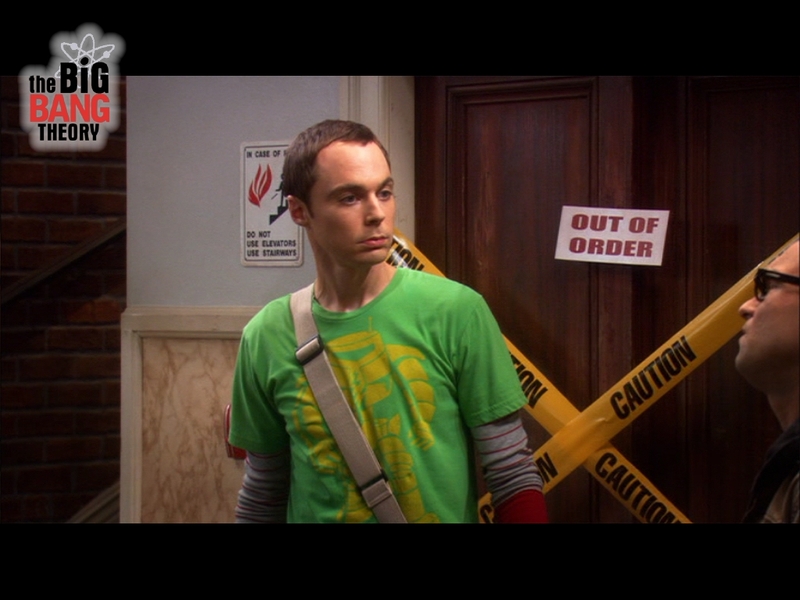 Sheldon Cooper. Enough said. I am a little crazy about grey's anatomy (don't hate)...and himym (but that is a given). I remember watching this one episode of big bang theory on the One Ring. I really need to start watching it!! !